Why watch the big game on TV when you can get to the fun in person so easily? JetBlue announced that it would add extra flights from Boston Logan to Houston Hobby Airport, which is only eleven miles from the stadium! Special flights are also being added from T.F. Green Airport in Providence to Hobby. As a bonus, Boston and Providence passengers flying JetBlue and wearing a New England Patriots jersey on game day (February 5) will get priority boarding! All passengers will be treated to $1 first-round alcoholic beverages. For flight times and further details, please visit their site. Not feeling like a flight? 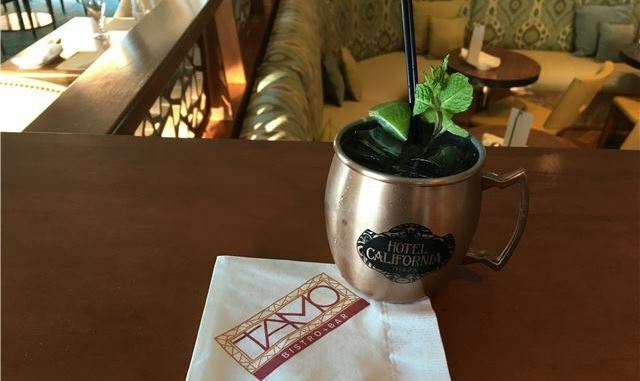 Our own TAMO is a great spot to catch Tom & Co. take on Atlanta and gawk at Lady Gaga’s sure-to-entertain performance. Chef Tobin will offer a special Queso Fundido as a game day snack while we will be pouring the G.O.A.T. Mule, a tequila and ginger cocktail honoring Mr. Brady, the Greatest of All Time.